@PensiveDolphin wow, that's looking pretty good. I see you already emailed it to me. Did you set up texture maps for it? 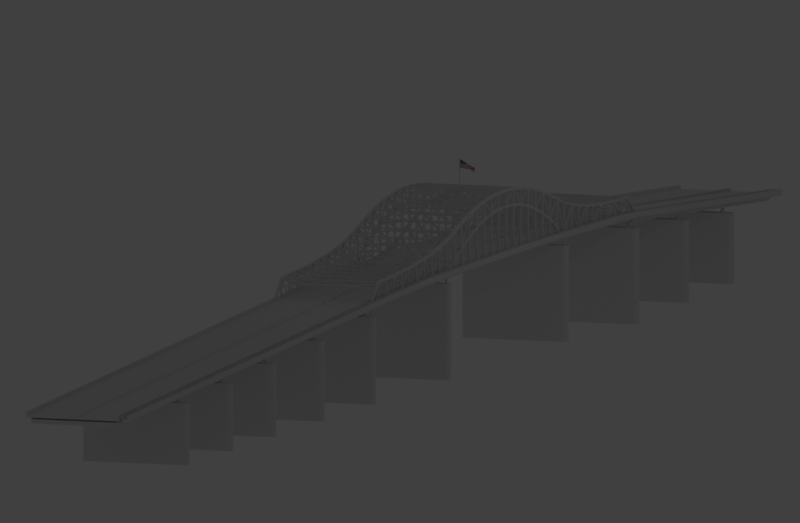 Also, I used an asset called easy roads in Unity to make the San Diego bridges. I just made a small section of the bridge and a pillar. Then it procedurally generates it with a road using splines. 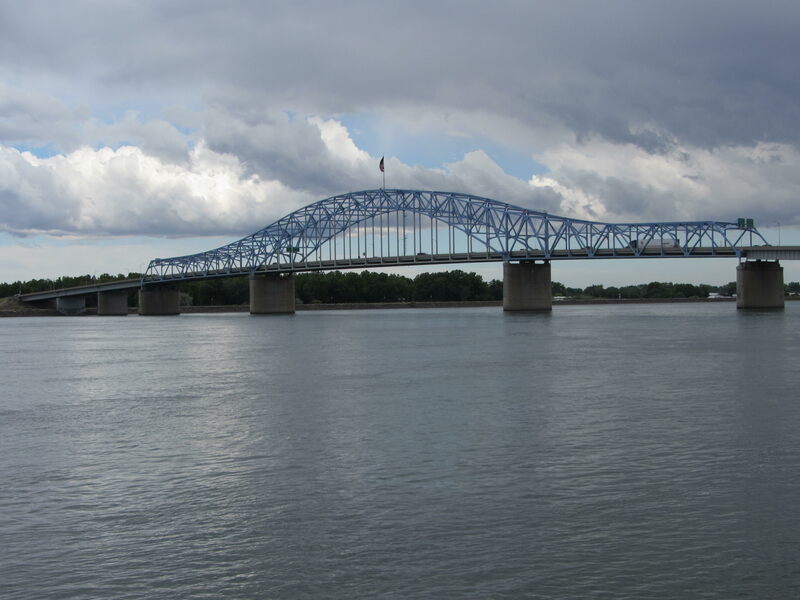 The blue bridge would be more difficult since it has that large blue truss section. That could easily just be a separate model though. Nice, that's really good for only just starting in Blender. I tried measuring the bridge in google maps. Looks like its 1145 ft long and about 70ft wide. I'm not sure how tall it is though. The road might need to be tiled a bit more, so the stripes aren't so long. Any idea what the triangle count is? We may need to make differen't LODs. Also if the flag is flat, can probably make it into cloth in Unity and have it actually wave around. Edit: Hmmm, wikipedia says 2,520 ft long. Shoot me an updated model when you get a chance, I can try importing into the game, so we can see what needs to be adjusted.